Hyaluronic acid can be found in the human body, more specifically in fluids that are present in your eyes and joints. It’s the reason why you were born with moisturized and soft skin. According to Arielle Kauvar, M.D., it is a naturally occurring polysaccharide, or carbohydrate. 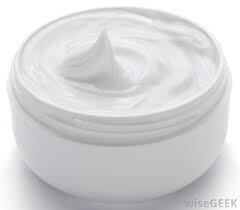 Apart from this, hyaluronic acid can be extracted from rooster combs and made by bacteria in laboratories. This type of fluid is commonly used to treat joint disorders such as osteoarthritis and is used during certain eye surgeries to replace natural fluids. More recently, hyaluronic acid, sometimes referred to as “the fountain of youth,” has been approved by the FDA as a lip filler and it is a beneficial fluid when it comes to treating your skin.